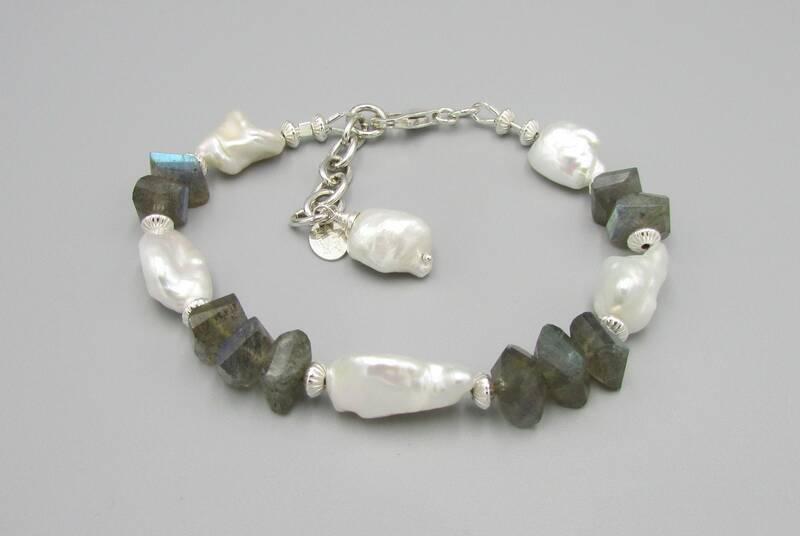 Beautiful long Keshi pearls and 8mm faceted AAA labradorite gemstones paired with 4mm sterling silver spacers and finished with a sterling silver lobster clasp. 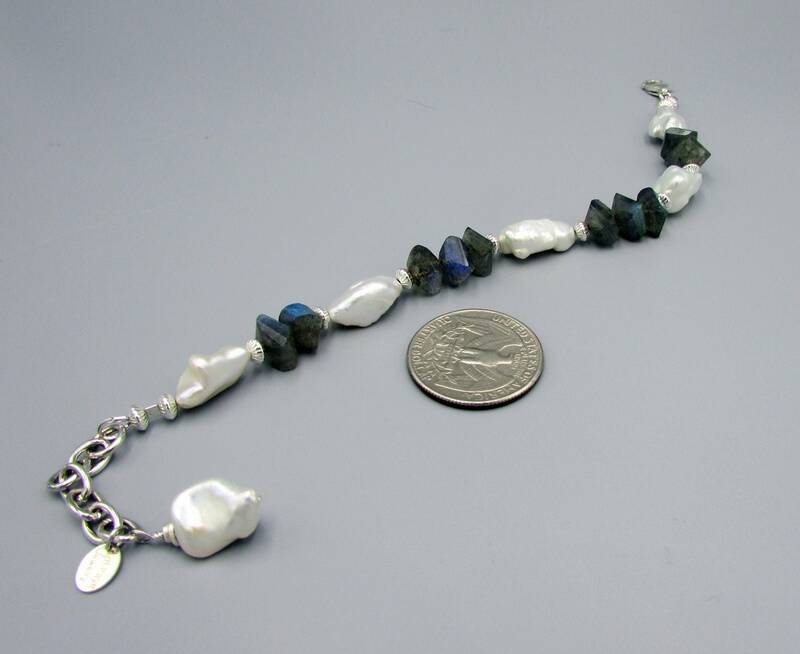 The length is 7 1/2 inches. 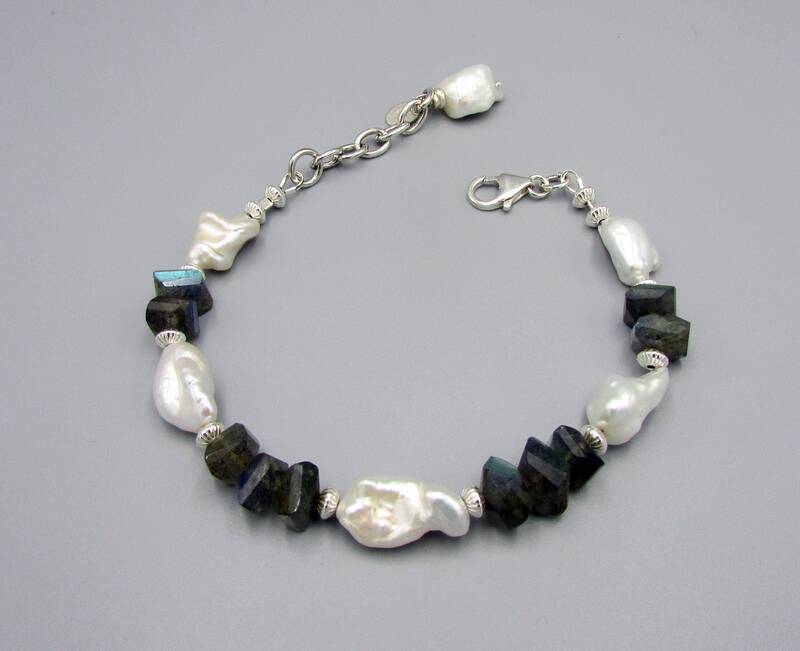 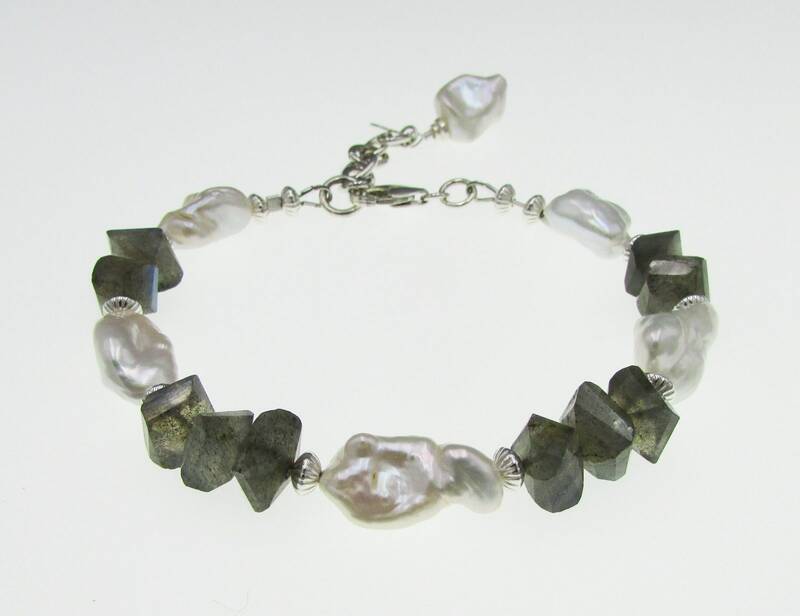 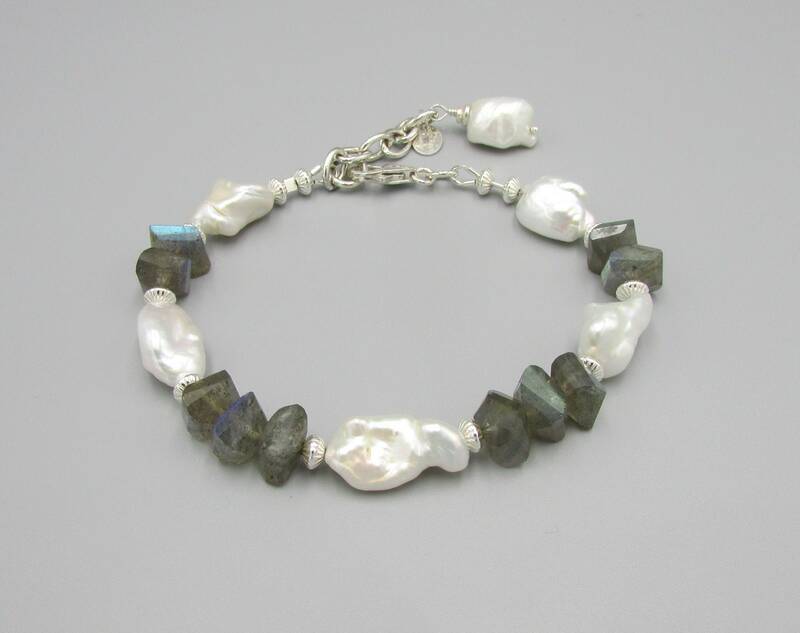 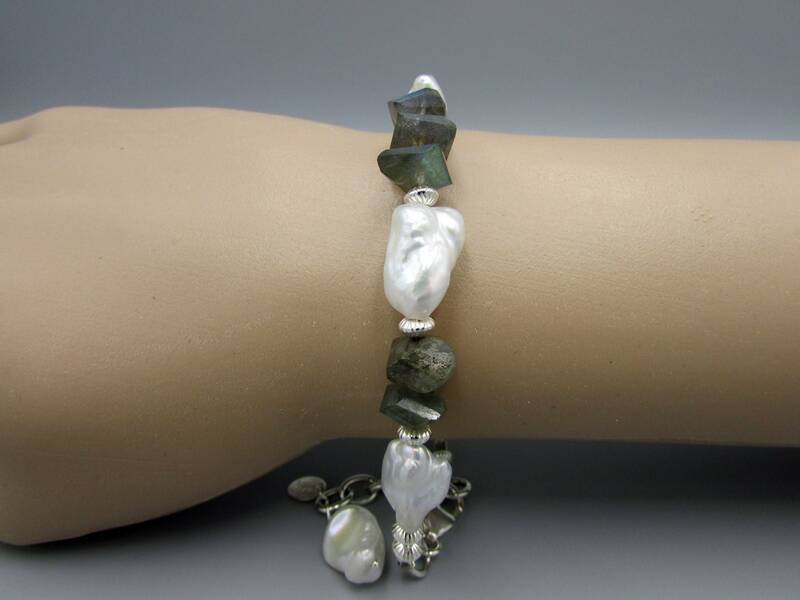 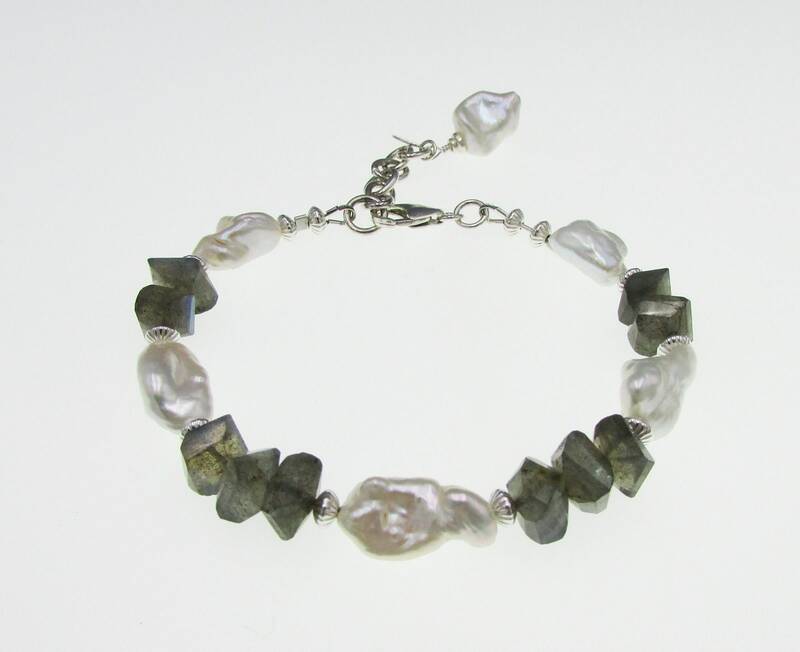 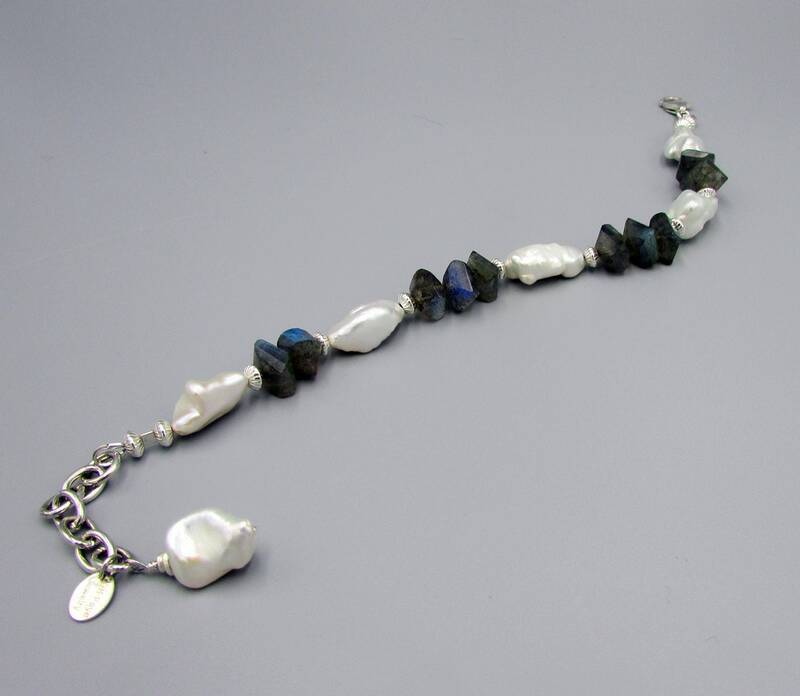 The keshi pearls have a gorgeous luster and shine and fit perfectly with the blue flash labradorite gemstones and sterling silver. 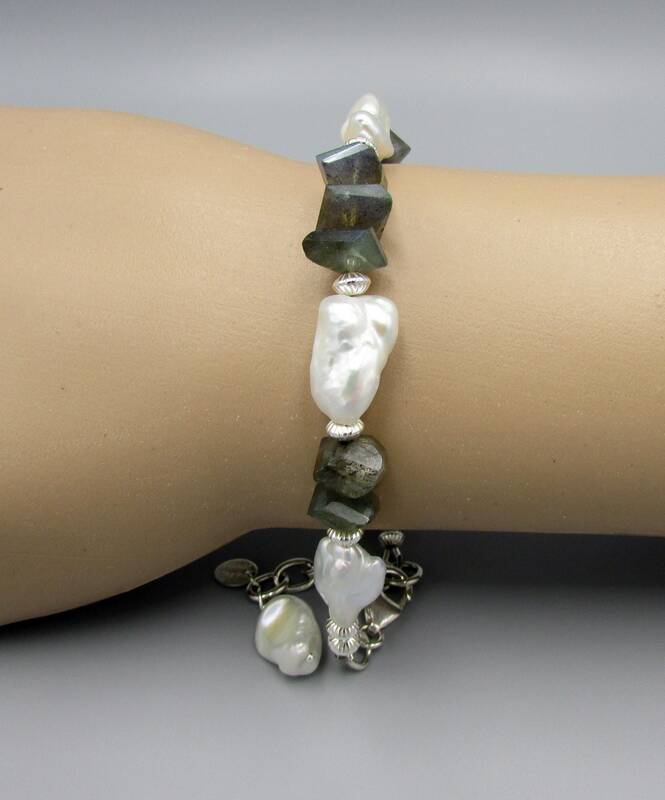 The white pearls are from 3/4 inch to 1 inch long.